If you've got yourself a dirt bike, you also need to buy the right gear for it. You don't want to end up with a concussion or something by riding your bike without a helmet. It's also essential to buy the best dirt bike helmet in accordance to your unique needs. For example, if you're a beginner, don't bother with anything fancy. A simple helmet you can use for those triples will suffice (for now). The motocross, ATV, or off-road helmet is just one of the many accessories that make up your motocross riding gear, which includes goggles, gloves, kneepads, elbow pads, and the like. It's your body protection or "armor" before you ride off into "battle" with your trusty dirt bike "steed". Just as you never go to war without a gun, you should never go motocross biking without your helmet and other riding gear. Don't confuse the dirt bike type of helmet with a motorcycle helmet even though they belong in the same umbrella of helmet (more on this down below). You can buy a motocross helmet at motocross shops and stores where you can also buy the dirt bikes themselves nationwide or even globally, wherever motocross sports is being practiced. In turn, you can also get them through the Internet through ecommerce sites and online merchants like Amazon. The dirt bike or off-road helmet is a subtype of motorcycle helmet. The helmet is primarily used in motocross but also sees usage with all-terrain vehicles (hence it's known by its other name, the ATV helmet). Because motocross is a dangerous and high energy sport, it's much sturdier than your standard motorcycle helmets to provide you extra protection. For context, here they are in comparison to the off-road helmet type. Off-Road Helmet: Dirt bike helmets are also known as off-road helmets. This helmet type is essentially a full face helmet that's partially open face to give room for goggles that keep the eye free of dirt and mud and an extended chin guard that's moved forward a bit for breathing room. Full Face Helmet: The full face motorcycle helmet is just like the off-road helmet sans extended chin strap and open face. It's designed to give you all-weather protection and a quiet ride with little wind resistance. Open Face Helmet: The open face helmet is also available with the wider face design of the off-road helmet. It's also known as the ¾ or three-quarters helmet because it leaves ¾ of your face open. Some have visors and some don't, necessitating goggle usage. Here are some of the top brands you should check out when on the hunt for the best motocross helmet. 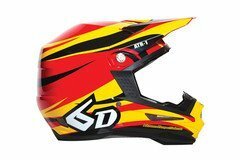 6D: 6D helmets offer helmets for bicycles (BMX), street bikes, youth riders, and motocross. It's an experienced maker of dirt and mountain bike helmets. 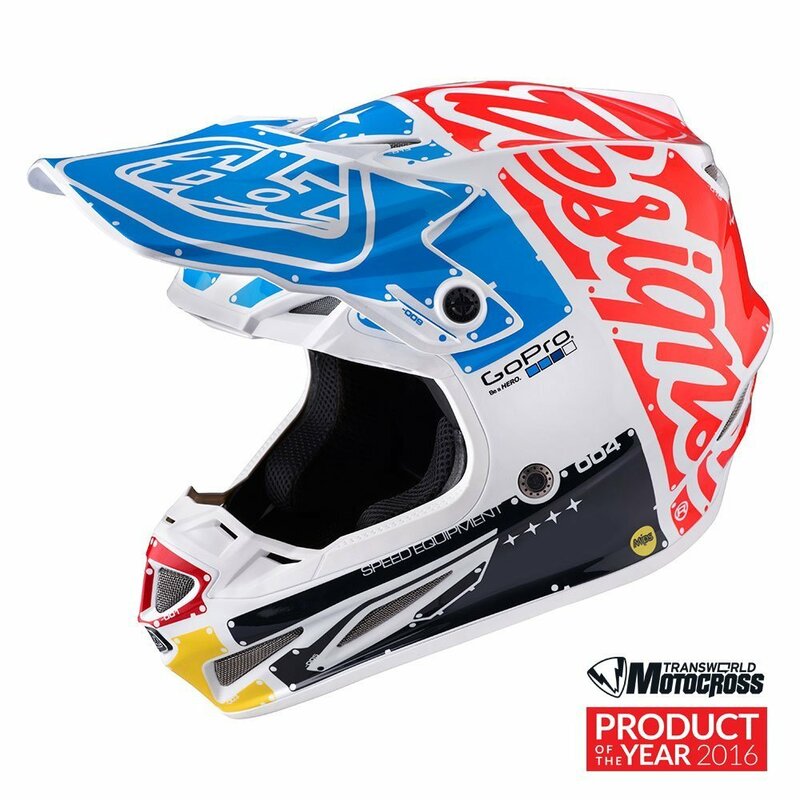 The motocross ones are of particular interest in this helmet review. Arai: The 50-year-old Arai Helmet brand claims to pursue innovation and improving the riding experience. This motto of theirs is seen from their 100% handmade helmets that meet and exceed the safety standards of DOT, ECE, and Snell. ​O'Neal: O'Neal is a producer of top-of-the-line motorcycle helmets for the USA and beyond for over 40 years. They also make gear and accessories such as gloves, helmets, jerseys, pants, and MTB boots. ​Fox Racing: Unlike the other companies on this list, Fox Racing is an all-around sports gear manufacturer that makes its own brand of motocross or dirt bike helmets on top of sports clothing and accessories for men, women, and the youth. Troy Lee Designs: Troy Lee Designs or TLD is a sports gear maker that makes helmets for BMX, mountain bikes, and motocross on top of jerseys, shorts, pants, gloves, bibs, base layers, socks, jackets, protection, and accessories for men, women, and youth. ​Bell Racing: Bell Racing Helmets for men, women, and youth offer innovative and technically superior racing helmets and accessories that enhance driver comfort and maximizes their protection when all is said and done. Core Helmets: Core Helmets is a 25-year-old brand that, unlike the other companies on this list, offer extensive specialist knowledge on all things related to motor sport helmet and accessories, including manufacturing and distributing such sports gear. The 6D ATR-1 Helmet is replete with specs, such as its unique and propriety omni-directional suspension technology that you won't find in any other helmet out there. It improves low-threshold energy transfer and reduces angular acceleration as you ride your dirt bike. In other words, you're afforded extra brain protection over a broader impact energy range, since low-threshold energy is common in most bike accidents and is the primary cause of second impact syndrome and concussions. If you want extra protection, the 6D ATR-1 Helmet propriety tech might be what you need. This makes you go faster with less drag or delay as you race in motocross. Meanwhile, the shell is made of full 3K Carbon Fiber Shell, which is some of the toughest yet most lightweight material known to man. In regards to the comfort liner, it's made of Cool Max anti-bacterial fabric on top of being washable and removable. This helmet model also features the Clavicle Cut-Away that increases clavicle clearance without any strength compromise while at the same time reducing the mass and weight of your helmet. This helmet type even comes complete with its own 6D Works Helmet Bag for easier storage and better portability. For the hefty price of $700-$730, you can avail of the rather spiffy and well-designed (in my humble opinion) off-road helmet with an eye-catching color scheme of orange and white. This medium-sized dirt helmet is made by Arai, a company that's been around for over 50 years. I suspect it's a $600 (or less) helmet with added value because of its aesthetics and styling. 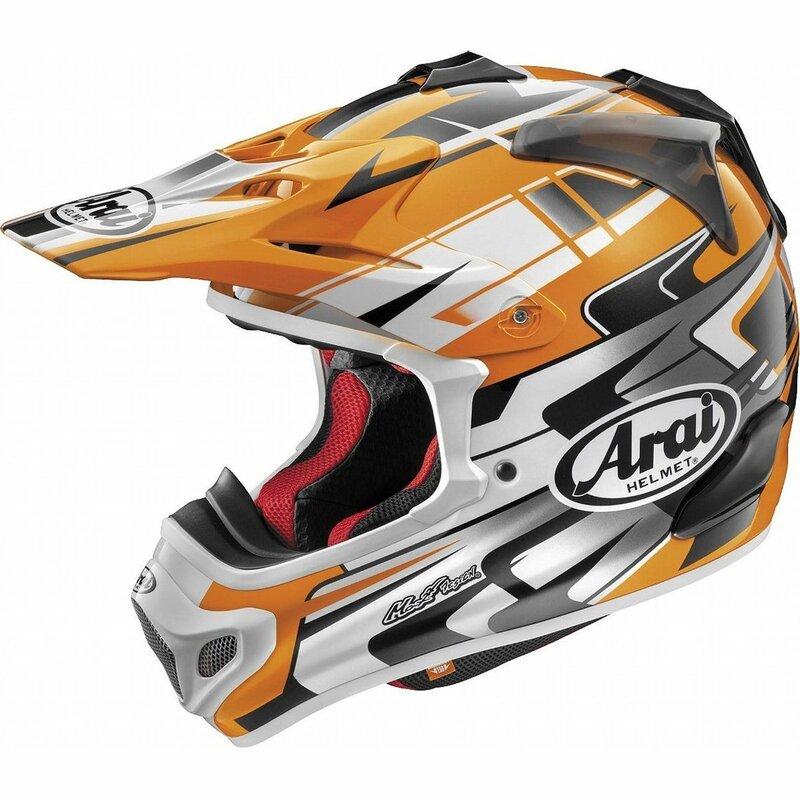 The Arai Tip VX-Pro4 Off-Road Helmet for Men is a 2014 model of helmet that can be used off-road, in motocross, and for Enduro sports events. It features a shell shape based on the R75 Shape concept. It's not over-designed with exaggerated protrusions or edges for practicality's sake. It also helps maintain the integrity of the shell shape so that it doesn't easily crack or break when faced with real world impact and blunt-force trauma. The helmet is reinforced with super fiber complex laminate construction shell with consistent roundness and smoothness to it. Furthermore, compared to its previous model, it is 5 millimeters wider and 14 millimeters taller to boot. 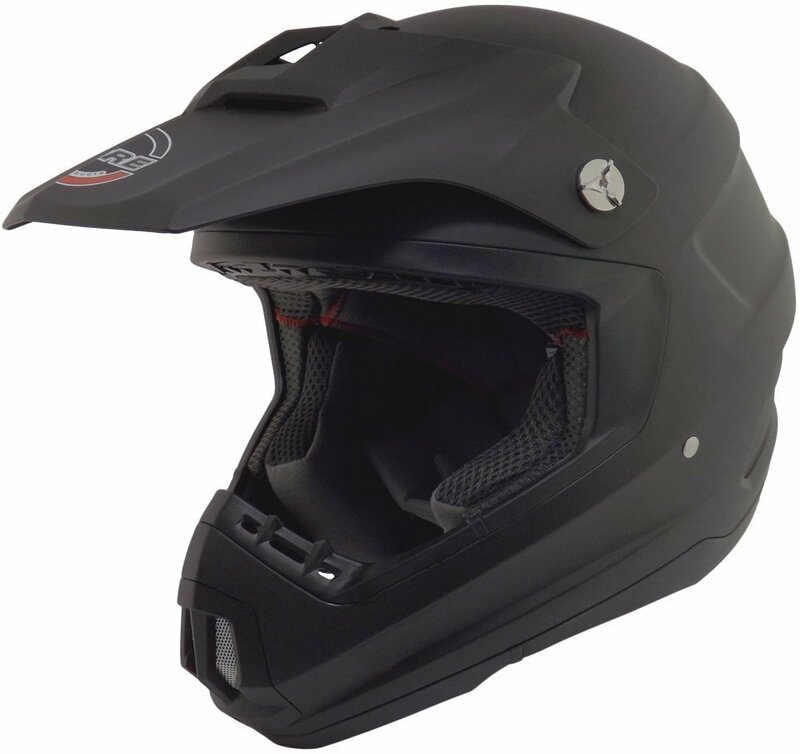 This slightly bigger helmet gives riders improved ability to deflect flying debris and roost because the added millimeters are placed at the right places for your protection rather than mere ornamentation. 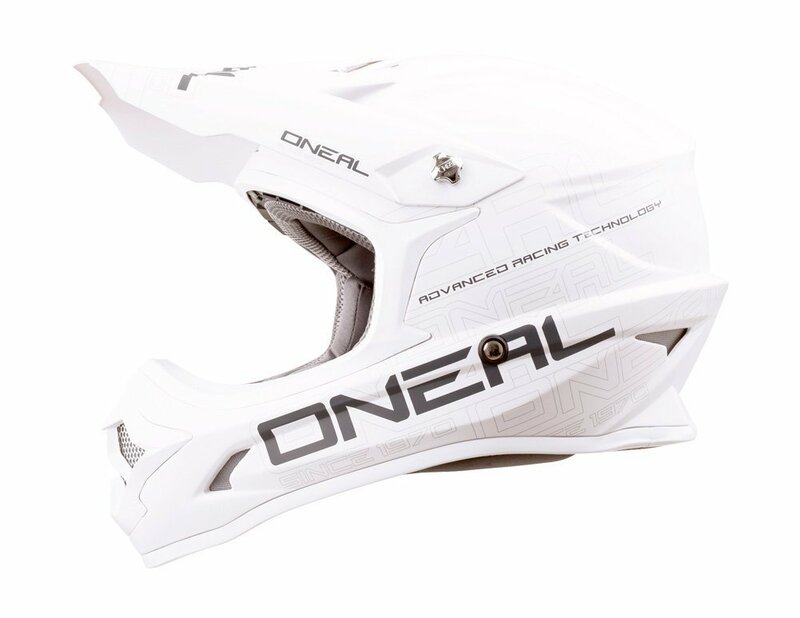 The O'Neal helmet features a hard shell made of polycarbonate that's both lightweight and durable (the two main things all motocross drivers expect from their helmets). It weighs about 1.5 kilograms or 3.3 pounds. Its liner from within its interior is made of washable and removable padded material that's ultra plush can keeps you dry through absorbing or wicking away your sweat. You don't have to worry about the smell because you can always wash the plush material down. As for the visor, it's adjustable as well so that you can put it on or take it off whenever you want. Meanwhile, the helmet also comes with exhaust and intake vents mainly to cool your head down or give it ample ventilation. The clear-coated and multi-colored designs of the helmet make it a must-have for motor sport enthusiasts who want to imbibe and submerge themselves with motocross culture. The designs of this helmet serve of as your means of customization, even if it's as simple as a grey and white color scheme over a more subtle design. If your helmet ever breaks down, you don't need to fret. There are replacement parts available to fill in missing visors, chin guards, and other moving and non-moving parts of this motocross accessory. Additionally, it meets all ECE 22-05, DOT, and AS/NZS safety standards (probably including Snell's standards as well). Here are the pros and cons regarding the 2017 Fox Racing V1 Race Helmet. First off, it has your requisite polycarbonate shell construction that's injection molded. You're also assured of a precise fit by choosing between 4 EPS and 3 Shell sizes for the helmet. It's durable, tough, and has a myriad of size variations. What's more (and this is my humble opinion), it has one of the more modern sky blue and black designs that I can confidently call original (and I've seen my fair share of motocross helmets). It also has 4 exhaust vents and 9 intake vents in order to maximize aerodynamics and wind resistance to cool down the wearer of this helmet with optimum airflow every time. Additionally, it's certified as safe by meeting and exceeding DOT and ECE 22.05 standards. Finally, it has a new look that's unique even among motocross helmets mostly because it's a newly released design in 2017. However, despite its positive ratings and enthusiastic buzz among its many satisfied customers, it has its share of detriments and detractors. What's more, even though many riders love it for its great price and perfect fit (it only costs $130-$170), you get what you pay for. 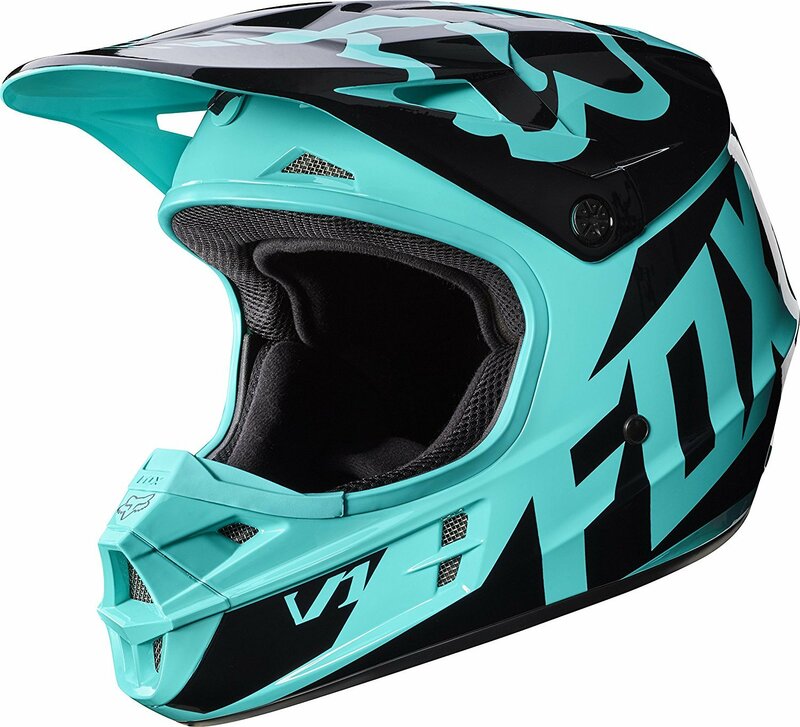 To be more specific, there's at least one customer who claims that the distinctive paint of the 2017 Fox Racing V1 Race Helmet is chipping, which suggests shoddy workmanship despite it still passing DOT minimum guidelines for safety and helmet hardness. I personally don't like the design of this helmet, which in my opinion looks like a cheap mess. However, there are a number of motocross riders and off-road helmet buyers who disagree with me and see Troy Lee Design's $500-$550 helmet as worth every last penny. To each his own. Regardless, even though I'm no fan of Troy Lee Designs' garish color choices and motifs, the helmet for me makes up for its (in my eyes) design flaws by being made of technologically advanced carbon and Kevlar composite shell construction. It's not necessarily a bulletproof helmet, but it's literally Kevlar tough. Meanwhile, the EPS inserts is able to further safeguard your head from concussions by having varying low and high speed impact-specific densities. That means you're protected from harm by three different speeds, at least. Meanwhile, there are also three shell sizes available to ensure a perfect fit for various head sizes. It covers various head circumferences and shapes in order to cast a wide enough net among the different motocross riders out there. Simply put, it's a lightweight (the company even describes it as featherweight) helmet weighing only 1.3 kilograms or 2.9 pounds, making it the lightest helmet ever produced by TLD (and lighter than the majority of helmets out there). 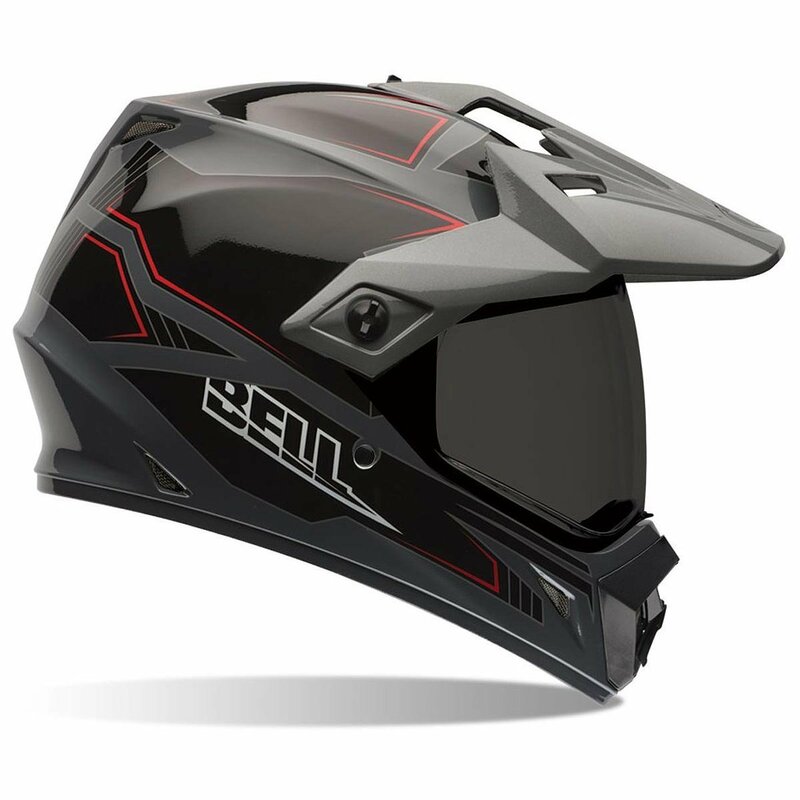 I personally love the sleek black computerized design (with red and grey trim) of the Bell MX-9 Adventure Blockade Black Dual Sport Helmet. It reminds me of Star Wars' Darth Vader with its smoothness and sleekness as well as the angular EPS-lined chin guard or bar that resembles a breathing apparatus. Its specs also stand out, thusly justifying its $150-$200 price tag. For instance, it comes complete with a velocity-flow ventilation system to cool you down as you speed up in the motocross dirt tracks, a lightweight polycarbonate shell that's as hard as it is light, and an integrated face shield. What's more, it shares the same wicking action found in the removable liner of the O'Neal 3 Series Helmet with its own washable and detachable comfort liner that's air-channeled to boot. Furthermore, the chin bar also has an adjustable mouth vent with extra padding on the strap (plus strap keeper and D-ring closure). It also only weighs 1.4 kilograms or 3 pounds (not as light as the featherweight TLD SE4, but still within the minimum weight expected of all off-road helmets). This is probably my favorite helmet of the bunch, hands down. It's quite the modern-looking and well-design helmet as far as I'm concerned. Last but not least is the Core Helmets MX-1. Next to the "Sci-Fi" Bell MX-9 Adventure Blockade, the all-black blocky look of the Core Helmets MX-1 is my second most favorite design of the bunch, but again this all boils down to personal preference. Also known as the Core Forester MX-1 Off-Road Helmet, the item is able to stand out not only in terms of its matte black automotive paint shell that's reminiscent of riot gear or the accessories of special ops. It's also a full face helmet for outdoorsmen with the specs to show for it. It's made for every dirt bike and ATV enthusiast. For instance, the Forester possesses a single front intake vent with 6 rear exhaust vents to make sure your head is completely ventilated. What's more, it has ear pockets that are recessed so that you can put in earphones and the like while riding your vehicle. The visor can also be adjusted in three instead of just two positions. Most importantly, it meets and exceeds the standards of DOT FMSV218. It can be used by riders of utility vehicles, street sport motorcycles, street motor scooters, off-road motorcycles, street cruiser motorcycles, all-terrain vehicles or ATVs, and street-touring motorcycles thanks to its hybrid of specs for various applications. In order to score the best motocross helmet for you, you need to know the following first. 1- Helmet Weight: Motocross off-road helmets tend to weigh between 1.4 to 1.8 kilograms or 3 to 4 pounds. To make sure you won't feel like a top-heavy baby with a gigantic head while wearing this helmet type, you should make sure you got a properly fitting helmet. The more evenly distributed the weight of the helmet is to your shoulders and head, the less off-balance or imbalanced you will feet while wearing the safety gear. 2- Helmet Construction: The composition of the helmet itself directly influences many other factors and attributes it has (such as safety, comfort, and weight). In motocross, having a speed advantage is the key to winning competitions whether it's freestyle biking or straight-on racing. Having a top-heavy helmet that weighs a ton is out of the question. Most helmets are made of carbon fiber, fiberglass composite, and polycarbonate. 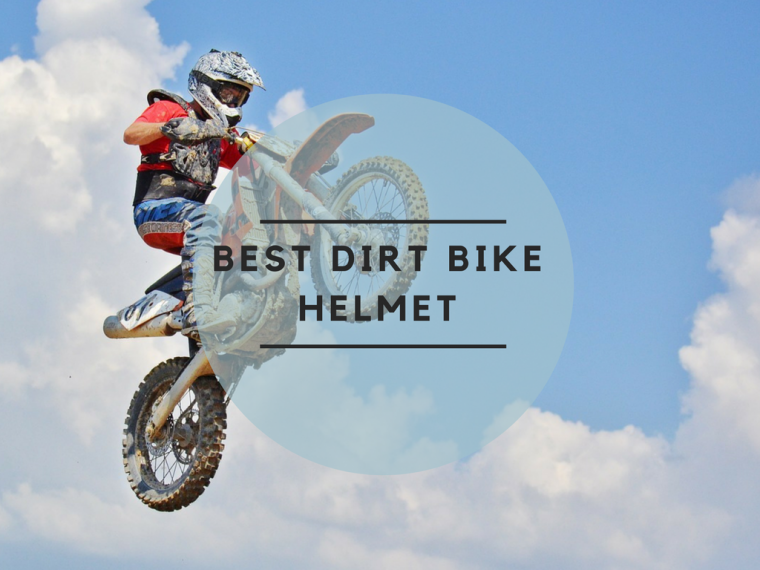 These materials are favored by off-road helmet manufacturers mainly because they combine (or balance out) the benefits of being relatively lightweight and incredibly durable or hardwearing together at the same time. There's less of a drawback from them by being lightweight. 3- Styling: For some motocross racers, bland generic gear is not enough. In order to imbibe in the motocross culture, they need to look the part. They also want helmets with eye-catching graphics in order to impress their peers and show off with an impressively "sick" accessory or gear. That's part and parcel of being part of motocross. However, if you love wild eye-catching graphics, it will cost you extra to get them. Something more subtle will tend to have a higher price than the same helmet sans the ornate design. The cost will increase if you add special designs and graphics to the helmet. If you want a plain solid color look then that can usually save you a few bucks. 4- Safety Standards: Here are the safety standards commissions for helmets for North America (U.S.A.) and Europe. ECE22.02: This is the European safety standard for helmets. This standard level of helmet protection was established by the United Nations Economic Commission for Europe. DOT: This is the North American (or simply American) safety standard for helmets. The U.S. Department of Transportation (hence, DOT) has set this minimum standard level of helmet protection. Snell2010: This is a voluntary nonprofit U.S. standards giver named after the late Pete Snell (a sports car racer who kicked the bucket due to injuries on the head). Snell's stringent standards are debatably better and harder to meet than the ECE or DOT. 5- Helmet Liner: If your helmet's liner is removable, then you can wash them. If it's not, then better avail of material that's both antimicrobial and antibacterial because you're going to need such liners for helmets you can't wash from the inside. Loads of sweat and germs can end up within your helmet otherwise, such that the best course of action for an old stinky helmet that's been sweated on for years is to replace it with a new one. What's the best off-road helmet for beginners? As touched upon at the start of this article, if you're a beginner, a high-priced and high-end helmet might not be the best option for you. It's much better to buy a simpler helmet and adapt to your bike first in order for you to decide whether motocross is something you're truly passionate about. A helmet that's loaded with features is worthless in the hands of a beginner since he probably won't even use half or even a quarter of those extras due to his motocross or dirt bike inexperience. It's better to gather experience first then get a fancy helmet only when you've invested enough time and passion on this hobby. What is your head measurement and how do you get it? In order to better decide whether you should get a small, medium, large, or extra-large helmet for dirt bikes and motocross without first trying the helmet on, you should know your head measurement. This knowledge is especially handy when it comes to buying motocross helmets online. To measure your head, you should get your head circumference by putting a tape measure around your head midway to your occipital bone (the little bump in the middle of the back of your head). Even though you can get the head circumference right, your helmet might still not fit due to differences in head shape (as covered below). How important is head shape when it comes to helmet fitment? Head shape is important when it comes to getting the right fit on your helmet. While all heads from the top view are supposed to be egg-shaped, vary in terms of their horizontal length or their vertical length. Having an ill-fitting helmet can lead to pressure points and discomfort when wearing your helmet. Long Oval: This head shape involves having an elongated head from the back to the front of your head. It's the standard egg shape since eggs themselves are longer lengthwise than widthwise. Intermediate Oval: This head shape is more circular. In other words, there's more of a balance between the length of the head from the front to the back as well as the width from side to side (or ear to ear). Round Oval: This is when the width of the head from ear to ear or temple to temple is longer than the length from back to front of the head, leading to a squashed ball look at the top of your noggin. Price ranges for these helmets can go for as little as $290 to as high as $730. You can also get prices like $660, $630, $520, and $340 depending on the brand. That should give you a rough idea of how much these helmets cost (and how expensive they are). You want to buy relatively lightweight helmets for good measure. Your budget matters when it comes to getting an off-road helmet protection. After all, the helmet is just part of your necessary motocross gear. Spending money on your dirt bike helmet alone makes no sense if you leave your hands, eyes, knees, and feet unprotected. You should have money for all of your accessories. If you're reading this article in order to get an upgrade or replacement off-road helmet, then that's a good thing. It means you've graduated from merely trying out motocross as a hobby to needing a more sophisticated helmet because you've "outgrown" your simpler helmet (not physically but mentally). Once dirt bike riding has moved from hobby to lifestyle, then getting a higher-end helmet with loads of features becomes a sound investment by someone who can maximize its usage. Dirt bike helmets are tougher full face motorcycle helmets with bigger free space for your goggles and improved ventilation because motocross is a tough race to handle with a street bike helmet. Shopping for the best dirt bike helmet is no joke in light of how expensive its price range is (the cheapest helmet is about $300 and the high-end ones are about $700. The ventilation of your helmet is crucial because a motocross rider exerts more energy at lower speeds. He needs to cool off somehow, and a helmet vent that can redirect even the slightest wind resistance to your head is a good one. Naturally, as the FAQ and buying guide suggests, fitment is also a major concern, so make sure you have your head circumference measurement handy. You specifically need to take into consideration your experience level, whether you're getting a replacement or a new helmet, your budget range (you should have a minimum of $300 available for low-end helmets), helmet weight, helmet construction, helmet liner, and even styling. Styling costs extra, so decide if you're willing to pay for style along with helmet substance.